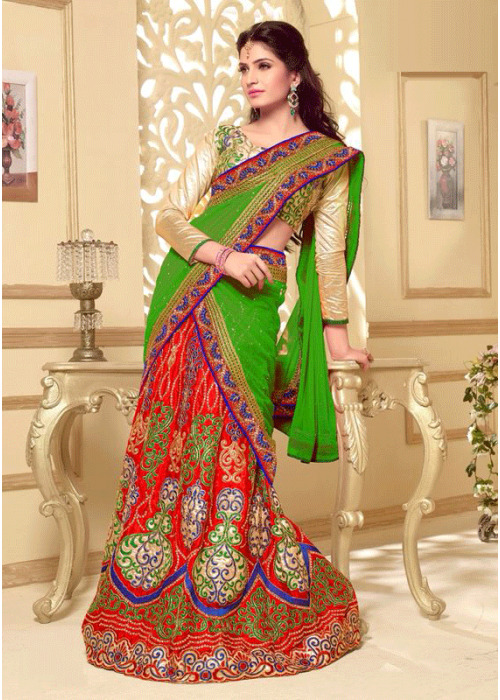 Beautiful Snazzy red and parrot green multicolor lahenga choli enhanced with rich thread work, patch work, zari, beads and embroidered appliqués. 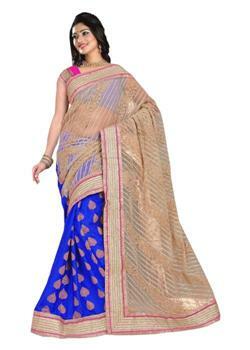 Lower part of the skirt is decorated with beautiful motifs and multicolor threadwork. Pure silk parrot green dupatta with elegant cream colored blouse paired with it. These beautiful choli comes in unstitched or semi stitched format.